Industrial Process News has named Irish robotics firm EiraTech Robotics as its Company of the Month for October 2016. 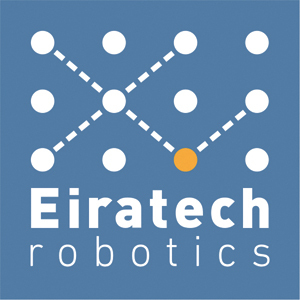 Headquartered at their state of the art development centre in Dublin, which includes a simulated warehouse environment, Eiratech Robotics is dedicated to providing robotics automation to the e-fulfilment sector. Founded in 2014, Eiratech employs a team of robotics engineers and designers from around the world at its Dublin plant and the firm’s development partners include Tyndall Institute, University College Dublin and Trinity College Dublin. Eiratech’s robot or ‘automated goods vehicle’ (AGV) is called the EiraBot, and has been dubbed one of the quickest and safest types of mobile robot on the market. EiraBot’s role is central to the Eiratech system, bringing the relevant shuttle racks (shelving units) to the picking station in the correct sequence for each customer’s order to be filled in turn, operating by means of advanced technology that connects the warehouse management software with Eiratech’s robot handling system. The components of the Eiratech solution can be summarised as follows: the EiraBot, shuttle racks designed to accommodate goods of all sizes and shapes, picking stations, charging stations, security fencing, a server and all of the necessary software. Eiratech’s system targets the 70% of a picker’s time wasted walking around a warehouse or searching for an item, while simultaneously driving up picking accuracy rates. It works via a simple yet effective process whereby orders are firstly transmitted – consolidated or processed sequentially – and the robot handling system subsequently dispatches EiraBots to retrieve the racks that hold the items in question. Once arrived at the picking station the picker is guided by a light system and the item is then scanned for confirmation and positioned for packing. 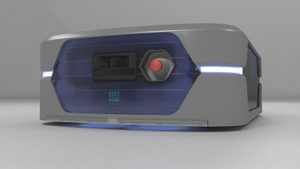 Eiratech’s system increases picking accuracy to 99.9%. Communication between the robots and the server is made easy with the supplied wireless WiFi network, and because the product doesn’t need any major infrastructural changes to existing warehouse sites, it makes for a more efficient and economical installation. The transferrable model can be moved and adapted as appropriate; as a scalable and flexible innovation, companies can rest assured that they will receive the results they require in the short term whilst letting the system grow with the operation, eliminating any wasted capacity. Eiratech recently announced the release of the EiraBot v4, the latest version of its award-winning robot. EiraBot v4 has been enhanced with a whole host of significant features. Improvements include increased battery life, twice the acceleration ability, smoother operation under loads and a 30% reduction in robot height for increased storage space. 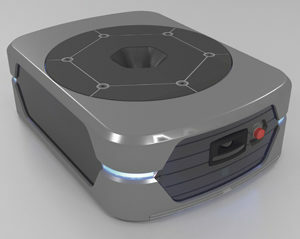 An on-board camera has also been added for clearer positioning and better stability, and the safety switch and bumper are supplemented by additional proximity sensors. This entry was posted in Company of the Month, Featured and tagged Robotics. Bookmark the permalink.